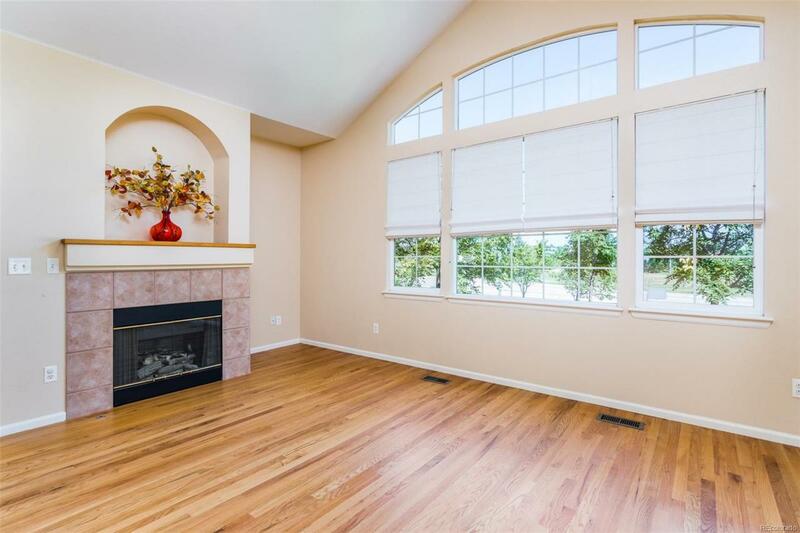 Rarely available ranch style end unit w/ great natural light & main floor living. Main floor features an eat in kitchen, laundry, master suite, office (or use as formal dining), secondary bedroom along w/ a full bath & gas fireplace. Wood floors throughout the main floor. Private fenced patio off of the master bedroom, finished basement w/ bedroom & 3/4 bath just awaiting your finishing touches.Two car attached garage & close to shopping, trails & restaurants. Community Pool, park & clubhouse.